What a great time of year. Kids are all looking forward the gift giving season and getting a couple of weeks off of school. Parents are all working hard trying to get everything in order for the holidays, waiting for the holiday bonus, cashing in their bitcoin, shopping for the kids and maybe selling an extra domain or two before the year comes to an end. Speaking of domains, lucky for us there is Kenta Fujimoto. 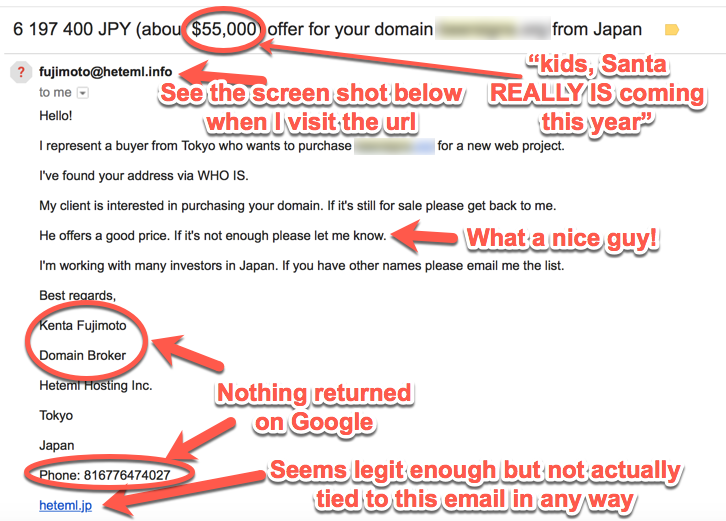 Kenta, sent an offer that far exceeded the value of the domain name he was inquiring about (first red flag). 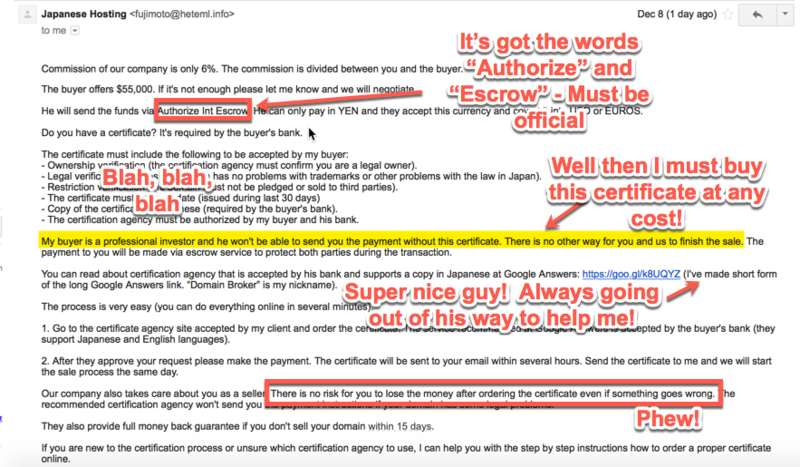 My good fellow returns the following, informing me that I must follow this sketchy link to buy a sketchy certificate to conduct this sketchy sale. Sounds a little sketchy if I do say so myself. I follow his Google Answers link (which I believe the service was discontinued like 11 YEARS AGO!) and a fine copy of a Google Answers page is returned with a not so Google URL. This guy really puts a lot of faith in dot info. When it comes to con artists, I’ll admit I love the stories behind the great ones. Charles Ponzi, Frank Abagnale. I get what they did isn’t cool but intellect behind it is fascinating. Not so in this case. 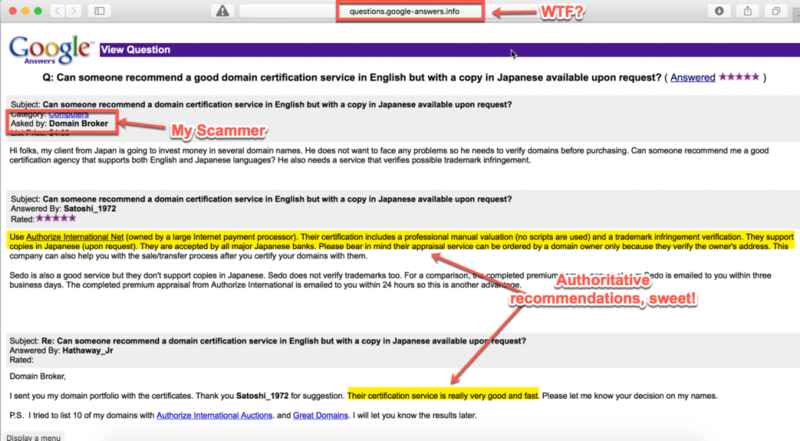 I have responded to the one known as “Kenta” asking for an interview on domain scamming. Could be interesting. But in the mean time, keep an eye on your domains and as hard working entrepreneurs, I trust you have more sense then these people trying to swindle you out of the money you earned for yourself and your family. If you ever find something questionable, ask. Ask me. Ask your favorite blogger (which again, could be me). Ask a domain forum. Don’t rush into anything that makes you feel the least bit uncomfortable. 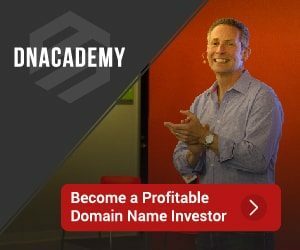 Hey Mike, I got the same email and engaged with them, once they realized I wasn’t a newbie they dropped off, suspect they are preying on non-domain investors and likely a few are falling for it, unfortunately. Bob, thanks for sharing. I would love to know their success rate. I can only hope it’s not very good. @Peter, appreciate the heads up. Keep an eye out… they are bound to get better at ripping people off.